Rogers County Criminal Defense. Call for a Free Consultation. Payment Plans are available. Have you been charged with a crime or are you being investigated for a crime? If you are facing criminal charges, it is imperative to contact a Rogers County Criminal Defense Lawyer as soon as possible in order to preserve all of your legal rights and options in how to pursue your defense in the future. It is essential to the outcome of your case to realize that the early stages of a criminal investigation is a time when our Rogers County criminal defense lawyer can best evaluate your case and options, which may include pursuing a dismissal or other important strategy to preserving your freedom and your future. In addition, when you are dealing with criminal charges, no matter whether they pertain to felony or misdemeanor crimes, having a strong defense is critical. We cannot stress enough how important it is to seek the advice of a Rogers County criminal defense lawyer at the earliest stage possible and we strongly discourage anyone to attempt to handle the situation on their own. The stakes in any criminal prosecution are high. Your freedom and your reputation are at stake. 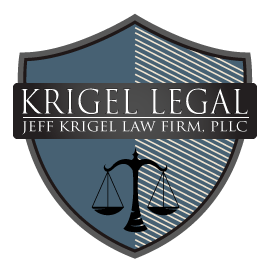 Jeff Krigel is a Rogers County criminal defense lawyer dedicated to protecting all your legal rights, and ultimately, your freedom. Criminal cases are fast paced and if you do not have aggressive legal representation ready to assist you, you can easily fall behind and be left with limited defense options. We are proud to represent clients in Rogers County and surrounding areas with high-quality assistance in criminal defense cases. As a Tulsa Criminal Defense Lawyer, I am prepared handle whatever case you are being prosecuted for, and we are not deterred by complex situations. Rather, we are committed to giving your case the necessary time to build the strongest defense possible. In addition, our firm brings value to its clients and achieves their goals through a commitment to results, achievement, and to aggressive advocacy. We do so, while at the same, maintaining the highest level of professionalism, integrity, and ethical standards. If you are in need of a criminal defense consultation, call our Tulsa Criminal Lawyer, Jeff Krigel, for a free consultation. Payment plans are available. In the time following a criminal charge, you will be faced with one of the most emotionally trying and stressful situations of your entire life. There is absolutely no need for you to have to face a criminal prosecution alone. With the help of an experienced Rogers County criminal defense attorney at your side, you can rest assured that every possible step that can be taken towards your desired outcome WILL be taken. There is no need for you to attempt to navigate your way through the language of the law by yourself. It is of utmost importance that you contact the right criminal defense attorney as soon as possible to start the building of your case. Immediate intervention, negotiation, and preparation by an experienced Rogers County criminal defense attorney is your best option. Jeff Krigel is available to discuss your Rogers County criminal matter and provide you with an honest assessment of your criminal case.